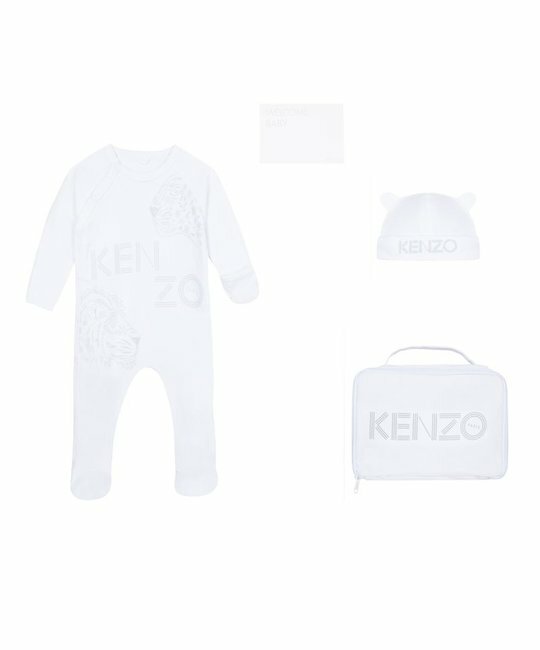 Kenzo soft cotton white and grey unisex gift set with onesie, hat and pouch. 100% Cotton. Imported.